Gotta love pulled pork... I think I might have to try this recipe soon! This is my first Sharefest. Your slow cooked pork reminds me of Diners, Drive-Ins and Dives! It looks that good! I took a look at your blog and found the birthday pics. Congrats on your princess' 3rd b-day! So cute! Thanks, Tina! 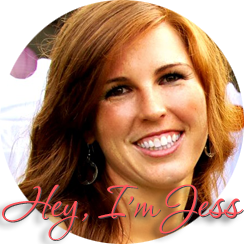 Will go check your blog out. So glad to have you! YUM! This looks like a recipe I HAVE to try! I so love pulled pork. Happy SITS Day! I LOOOOOVE pulled pork from the south. I live in DC and I love southern food. Can you feel my excitement for this recipe?! Well I am sooo excited. I will let you know how it turned out. Happy SITS Day!! OMGOSH that looks HEAVENLY!!!!!! Happy SITS day!!! I can practically smell the pork. Thank you for the conversion because I too do not have a backyard smoker. It's too cold in the PNW to do that outside in January but having something warm for dinner is appealing. Enjoy your SITS Day. I love ALL types of BBQ! My mouth is watering right now. This is something I would definitely like to try! 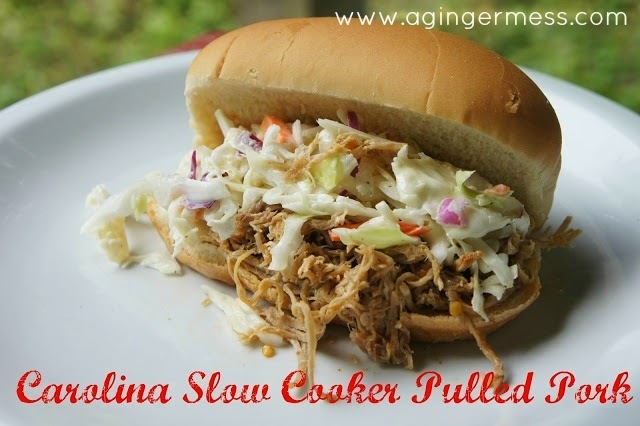 Happy SITS day - I absolutely love Carolina pulled pork - I am a huge fax of the cider based slaw and this is such a great dish to either feed a crowd of feed your family with leftovers for other meals and/or the freezer. Thanks for sharing your version! Happy SITS Day to you! I'm definitely trying this recipe, my husband and kids love pulled pork. Super hungry now! Looks amazing...going to have to try it soon! Enjoy your SITS day! Oh MY, this looks exactly like the sandwiches we would get a Piggly Wiggly when I would visit family in North Carolina. Thank you for sharing this recipe. Will definitely have this for dinner soon! Looks delicious :) I will have to try this!! Happy SITS Day! Yummy, we could make sandwiches all day long! Happy SITS Day! Man, that pulled pork looks so much like chicken. I bet this was really good. Unfortunately, I never really grew up on the good stuff. My mom had my sister and I on a strict diet and a strange religion that included no pork or shellfish. I should really try this recipe. Happy SITS day! I love this recipe. My husband is from NC and I have started trying different BBQ recipes recently. He's more of a Lexington BBQ fan, but it's really not that different from eastern BBQ. I admit, I am more of a "sweet BBQ" person, but this looks good. Plus I could probably adapt the recipe for a sweeter sauce. Thanks Sarah! :) I'm one if your new followers! Havea great weekend! Oh, that looks yummy!! I love pulled pork in the slow cooker. Hope you have a great day!! Happy SITS Day! My husband would go nuts for this. Pinning for a later date! My husband and I love this and always looking for good recipes! Thanks! Happy SITS Day by the way!